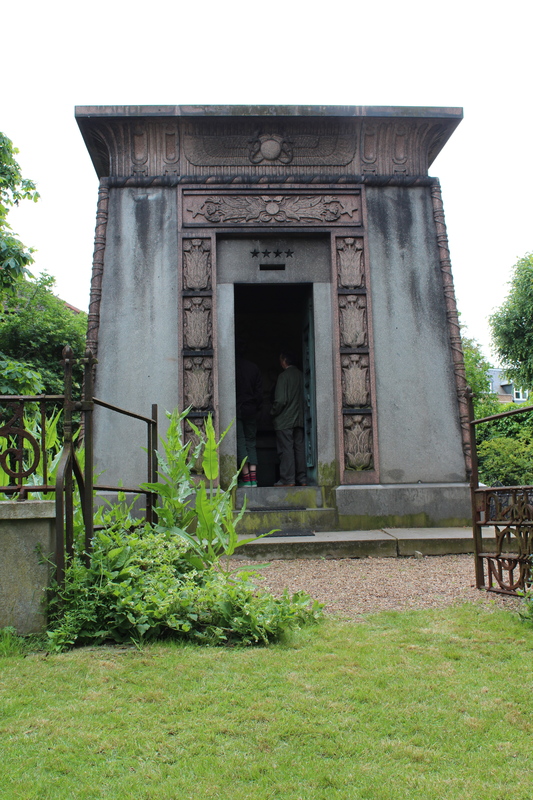 I think I may have found a mausoleum that tops even Richard Burton’s in its uniqueness: the Kilmorey Mausoleum in Twickenham’s St Margarets. This £30,000 tomb – a fortune when built in 1854 – was a memorial for the mistress of the 2nd Earl of Kilmorey, Priscilla Hoste, who just also happened to be his ward. 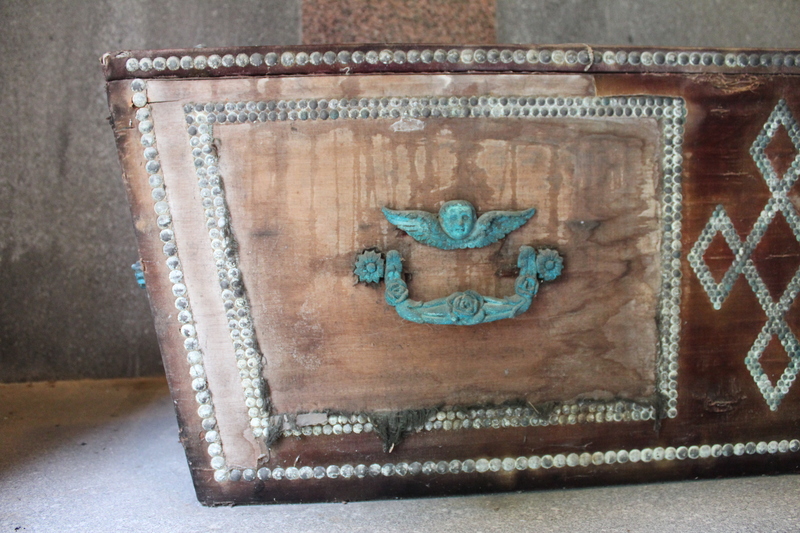 Today, the tomb lies in a small garden, no longer connected to the house to which it was originally attached, and on rare occasions you can visit and inspect the contents – including the coffins – for yourself. 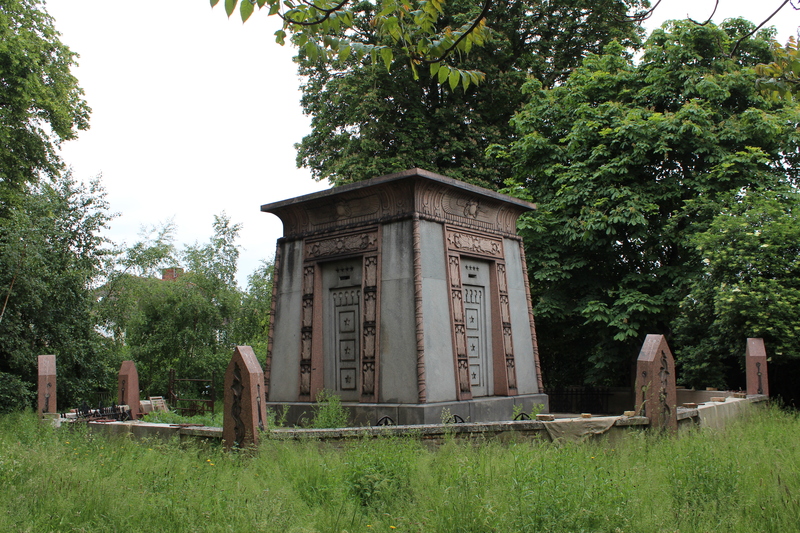 Originally erected in Brompton Cemetery, the Egyptian-style tomb – which thanks to Napoleon’s Egyptian campaign was very on-trend at the time – was actually re-located twice as the Earl moved around various properties in London. The Earl never allowed either of his two wives to be buried in the tomb, and finally joined his lover in 1880 at the grand age of 92. Its final site here was attached to nearby Gordon House, where a tunnel was built under the road to connect the mausoleum to the house. The Earl was said to use this tunnel is his later years, when he would get his servants to wheel him through it – wrapped in a shroud, lying in his coffin – to his tomb, in what some believe was a bizarre practice ritual for his own funeral. 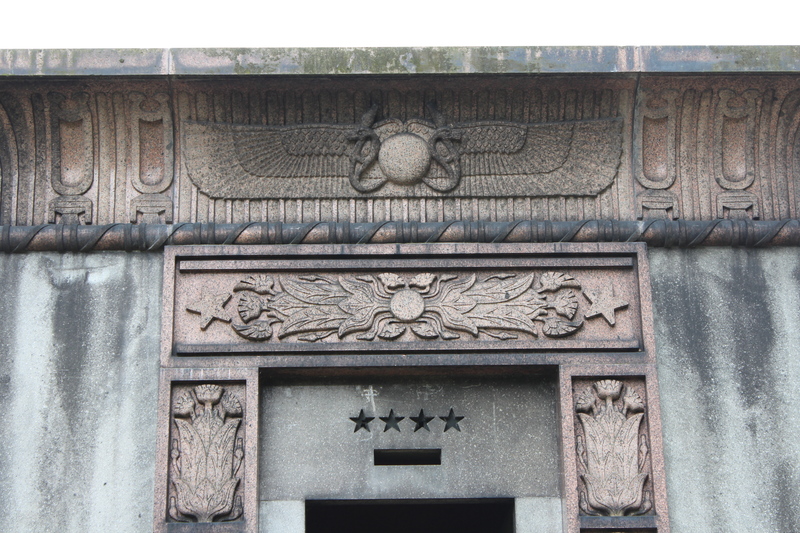 The mausoleum’s design is impressive – created by Henry Edward Kendall Jr in the Egyptian Revival style, it features cast bronze doors and pink Scottish granite. It is covered with Egyptian motifs, including the the winged sun disc of the god Ra. 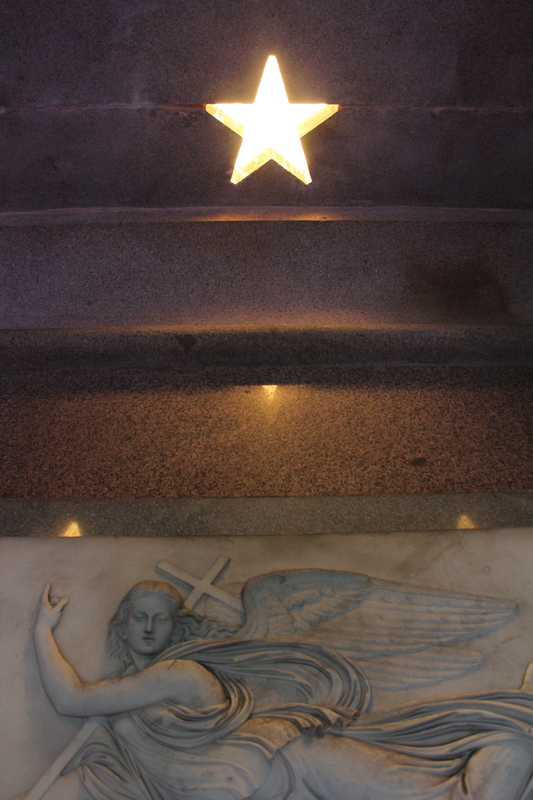 The skylight stars in the ceiling of the mausoleum allow the sun to project these stars across the coffins at certain times of the day. 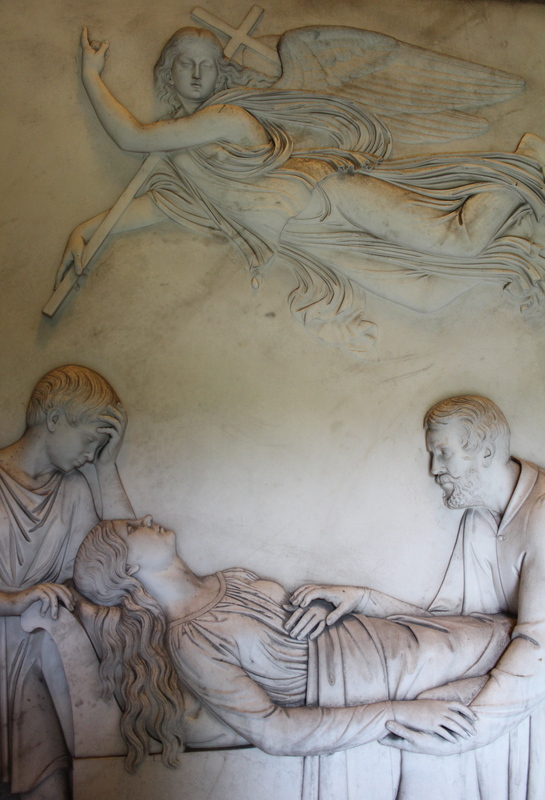 A large white marble relief carved by Lawrence MacDonald hangs on one wall, showing Priscilla on her death bed with the Earl at her feet and their son Charles at her side. 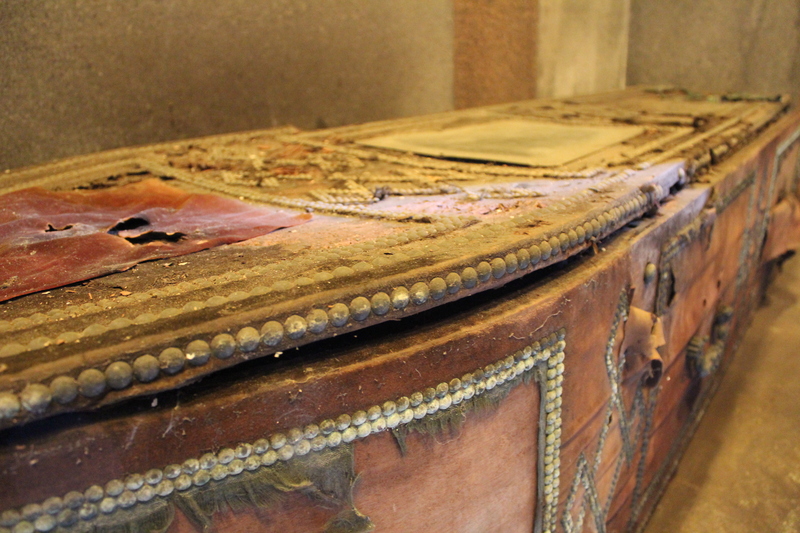 The coffins of the Earl and Priscilla are still very much present on either side of the mausoleum – son Charles refused to take up his allocated shelf. It seems amazing that you can actually enter this small space and stand right next to them. 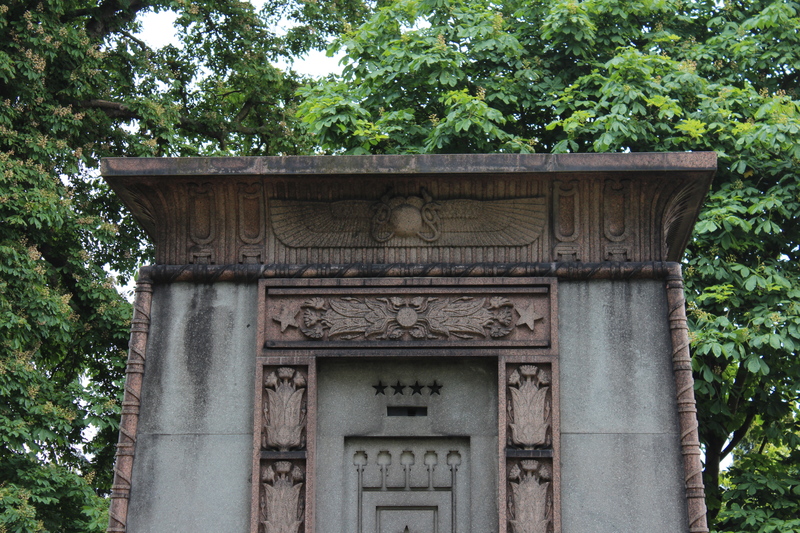 Unlike the rest of the mausoleum, the coffins are very much in Victorian funerary style, with both covered in red velvet. This has very much faded over time, but I was surprised to learn that they had been preserved in a near-perfect state until 1987, when a storm resulted in water damage. 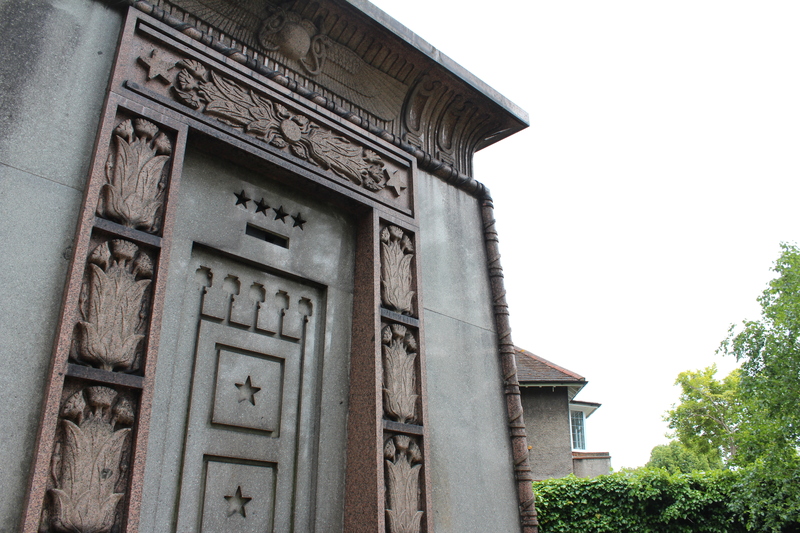 The Kilmorey Mausoleum is only able to be visited on special open days; it is next open as part of the Open House Weekend on Sunday 22nd September 2013. Openings, events and location details are listed on their website.